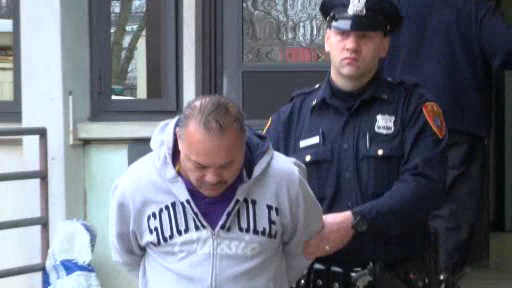 BRENTWOOD, Long Island (WABC) -- Police in Suffolk County have arrested a suspect in a deadly hit and run. Detectives arrested Cesar Velasquez Saturday for a crash that killed Jose Reinerio Salinas in front of 274 Washington Avenue in Brentwood. Velasquez, 54, of Brentwood, has been charged with leaving the scene of an accident resulting in death. Officers say the 41-year-old Jose Salinas was walking in the middle of the street, and in the dark when an SUV slammed into him. The driver kept on going, leaving the victim's body in the street, and right in the path of a second car, which ran him over. The woman driving the second car stopped immediately, but it was too late for Salinas, who lived in the neighborhood, and routinely walked up and down the street.